Home › Fix My Smile › Should I have my teeth extracted and a bridge put in all in one day? You’ve probably seen lots of ads for bridges delivered in one day. Many people think that ‘if you can get it done in a day, it must be good’. But, the real difference is in the final result, and what a difference a day makes. With one-day procedures, you have your teeth taken out, dental implants put in, and a temporary bridge fitted over the course of an entire day. Swelling that results from oral surgery doesn’t decrease before the temporary bridge is put in. The bridge made while you’re in the dentist’s chair is much less refined than one that is custom-crafted in a dental lab. After your swelling goes down, the temporary bridge often needs to be modified and adjusted to fit properly. While you’re healing, there is often significant discomfort, and you really can’t bite or chew while you’re in pain. With Teeth Tomorrow, you don’t have a temporary bridge put in on the same day your teeth are removed. You get a chance to heal overnight, while your personal, precision-crafted provisional bridge is delivered to your dentist the following morning. When you return tomorrow, you get a lab-produced, polished dental appliance that is custom-made to your unique requirements, not a temporary bridge made chair-side. You leave with a beautiful smile, and get to start enjoying your favorite foods again. Best of all, your permanent replacement bridge can now be sculpted from a solid block of Prettau® Zirconia – our unique, high-quality material that performs better than any other product available. It’s non-porous, so it doesn’t attract odors, and is exceptionally durable, so it fits comfortably and feels as natural as it looks. 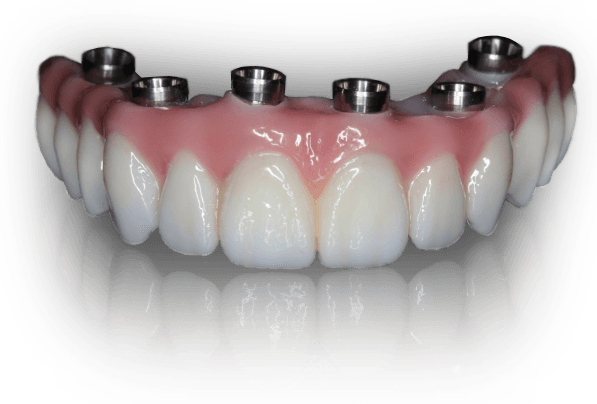 Your final bridge is tailored specifically to you using 3-D imaging and state-of-the-art robotic sculpting. It’s then hand-finished and shaded for a natural look and polished for exceptional fit and feel. A determination to see if you are a candidate for Teeth Tomorrow can only be made after a comprehensive consultation where the risks and benefits of implant treatment are reviewed and all possible treatment options are evaluated. 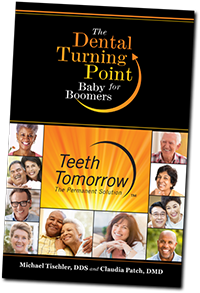 contact your local Teeth Tomorrow Member Practice for a permanent solution to your major dental problems. Our network of Advanced Implant Dentists brings Teeth Tomorrow® and the proven Prettau® Zirconia Implant Bridge to patients across the country. Find a local implant expert who has the experience to provide options and help you choose the best treatment for your needs.